The customer may describe a creak or squeak noise coming from the front suspension. The noise is typically more noticeable during cold temperatures below 40° F. The noise may go away when the vehicle warms up. 2. 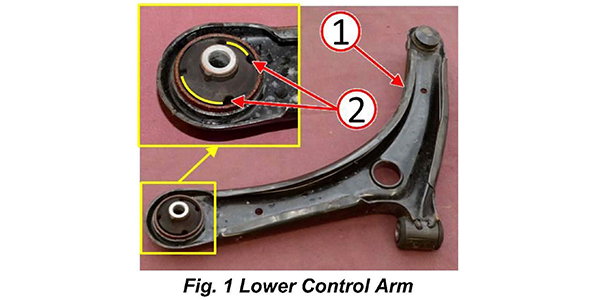 Remove both front lower control arms (Fig. 1). 3. The area of the bushing squeak concern (2) is identified in Fig. 1. 4. 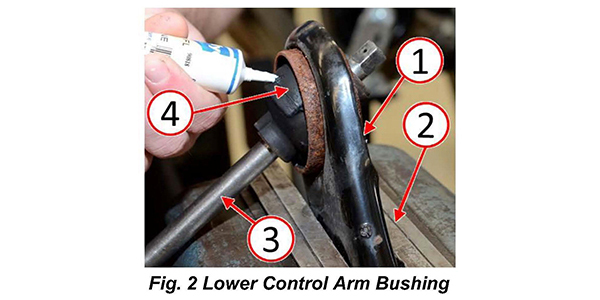 Clamp the lower control arm (1) securely in a vise (2) with the bushing accessible (Fig. 2). 5. Using an appropriate tool (3), insert the tool through the bushing sleeve, then rotate the bushing to expose the sides of the bushing. 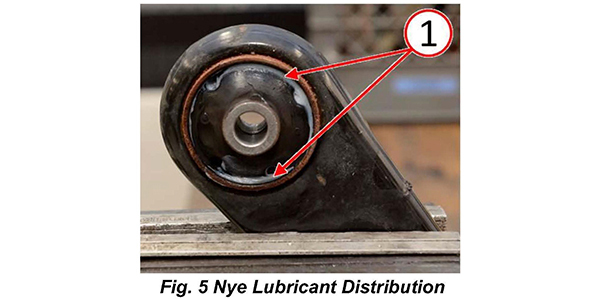 Apply a Nye Lubricant application that is available from Jeep and Chrysler dealers using P/N 05019061AA. 6. 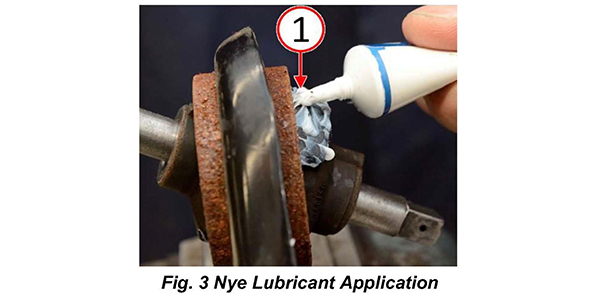 Apply the lubricant liberally to bushing sides where internal bushing contact is made (Fig. 3). 7. Move the bushing through the range of motion in order to distribute the lubricant (Fig. 4). 8. 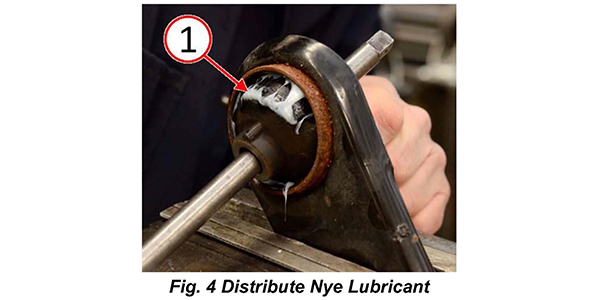 Inspect that the Nye Lubricant is evenly distributed within the bushing slots (Fig. 5). 9. Repeat the Nye Lubricant application process for both lower control arms. 10. Install both lower control arms. 11. Align the front wheels.